Long Term Review : Liqui Moly Ceratec .. So far so good! It has been almost 9 months since I poured a bottle of Liqui Moly Ceratec into my road legal drift car . 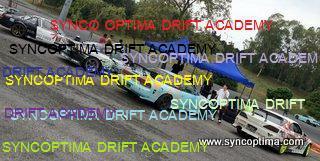 This was during the Ultra Racing’s Drift Challenge in Batu Pahat and I have yet to get the oil changed on the S13!! Besides the lack of time as the major reason for not doing so, I have not found the reason to do so. For one; The S13 had only accumulated a total of slightly above 2000 kilometers since the last oil change, which was also when I poured the Ceratec in .However, one should take note that this was 2000 kilometers of hard driving and drifting as this car use to be a regular at MARDI’s weekly drift events ( that place still rocks!!) and two; I did not experience any noise or heat issues related to engine oil breaking down. To put it plainly, the engine runs as smoothly and quietly as it did 2000 kilos ago. In all honesty, heat is the only quantitative indicator that I am basing this review on as I do not have any instruments to measure smoothness or quietness . However I do know when the engine is excessively noisy or running a bit rough which I am happy to say it is not. So now we know this product works. Next is to see if this product lives up to the claim of continual protection even after 3-4 oil changes. Stay tuned as I get the s13 oil changed!! This entry was posted in Life Style, Liqui Moly, Posting by Ariff, SSX and tagged ceratec oil additive, ceratec oil tempreture, liqui moly ceratec on February 8, 2012 by skagee.